and puts the next target for the SP500 at 1375. Another market that caught my eyes today is the Euro currency. 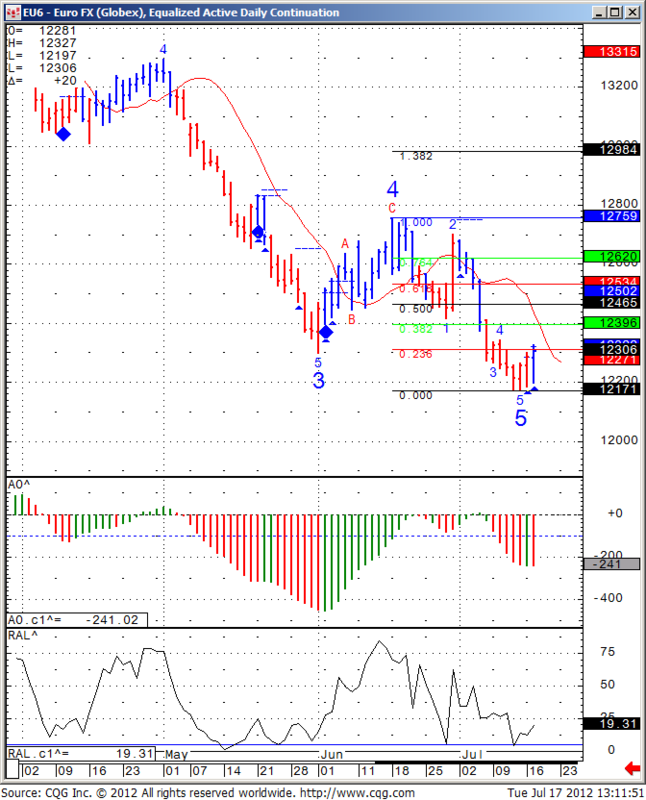 I am getting a small buy signal as well for the Euro with possible targets at 123.96 and 125.34 and stop somewhere below the recent low of 121.71 ( 121.35?) in case I am wrong. If I am wrong and the market does take out the recent low, we may see another leg down before this market bounces.